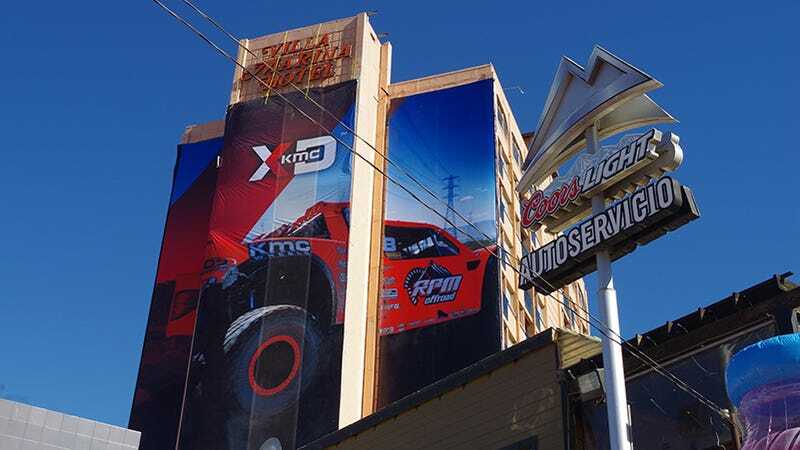 The City of Ensenada is a vibrant port town a couple hours south of the U.S. border that derives a lot of commerce from two things: visiting cruise ship guests and off-road racers. This week, the city has apparently deepened its relationship with the racing community by setting up a Hollywood Stars style “walk-of-fame” with the names of victorious drivers and riders laid into the city’s very infrastructure. I’m not sure if these sidewalk tiles will only honor competitors from the NORRA Mexican 1000 or if they’ll include SCORE Baja 1000 and Baja 500 folks as well, but regardless, this seems like a fun piece of farkle for the city and a nice nod to the thousands of off-roaders who pour into town in a big way a few times a year. I love coming through Ensenada and feeling how alive the whole joint seems when a race is on in town. Also, it’s usually the last Starbucks I get to taste before I drink nothing but dirt for a week. From a visitor’s perspective, the city and its inhabitants have always seemed welcoming and excited to be such a big a part of the southwestern off-road scene. As a car enthusiast in general, I think it’s pretty neat that a town is recognizing the awesomeness of motorsport and letting that be a part of its tourist appeal. If you’re anywhere nearby or have the means to buy a plane ticket, you should head to Ensenada next week when the 50th Baja 1000 kicks off downtown. Come for the off-roading and cool cars, stay for the tacos.